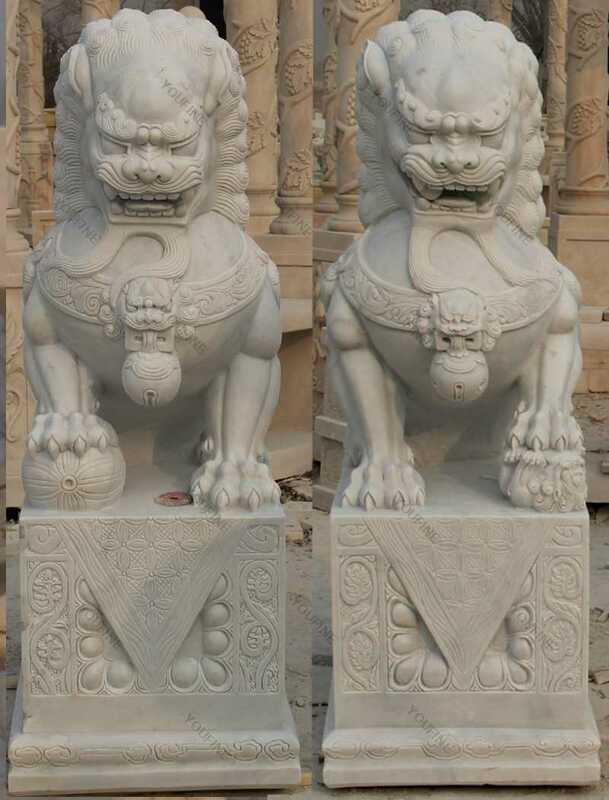 The Chinese Guardian Lion is known colloquially in the west by Foo Dogs, but has been found throughout China. It appears in front of temples, palaces and public offices, and is protected by mysterious forces. Chinese Han Dynasty (206 BC-220AD). A pair of lions traditionally features women who grow females and men who sit on the ball. 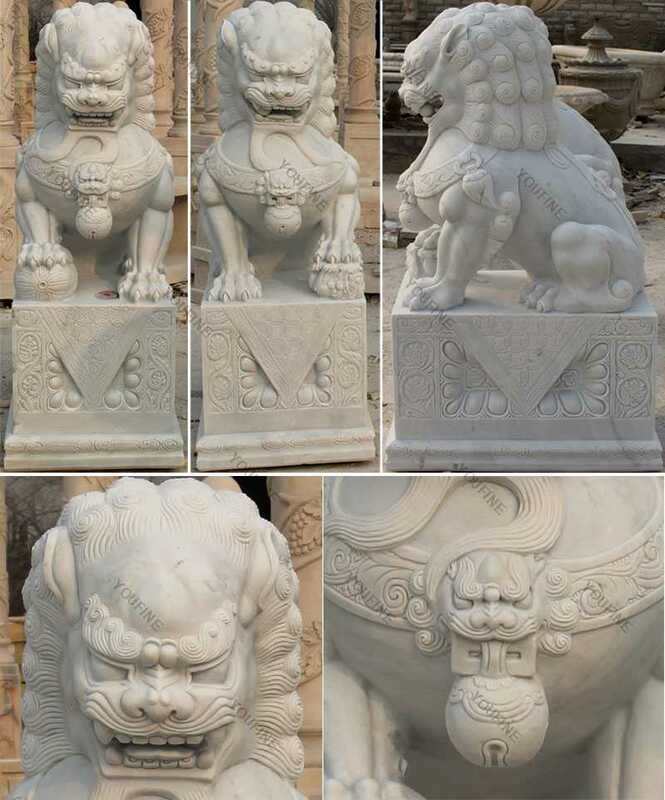 The Chinese Guardian Lion name represents the Chinese Guardian Lions or Imperial Guardian Lions. Their name in Chinese is Shi or 獅. 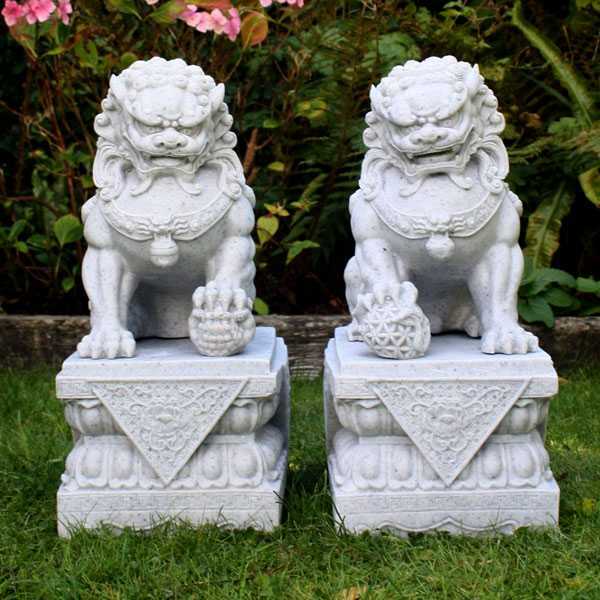 The tradition of guardian lions is originated from Chinese Buddhism. 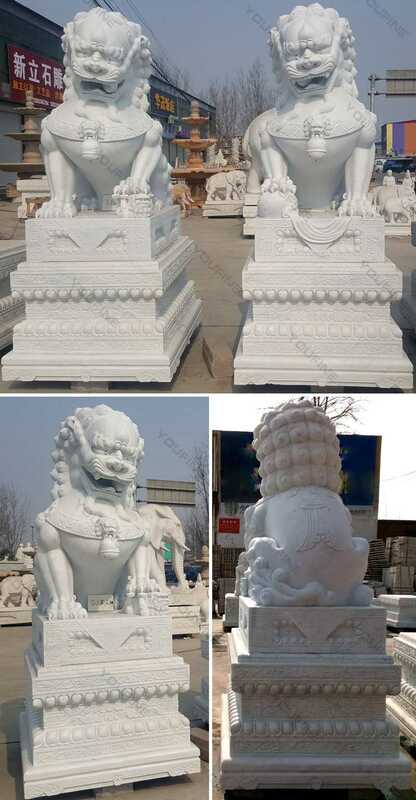 You can find Foo dogs in Japan, Korea, Thailand, Burma, Vietnam, Laos, Nepal, Sri Lanka, etc. Foo dogs are meant to be a pair. 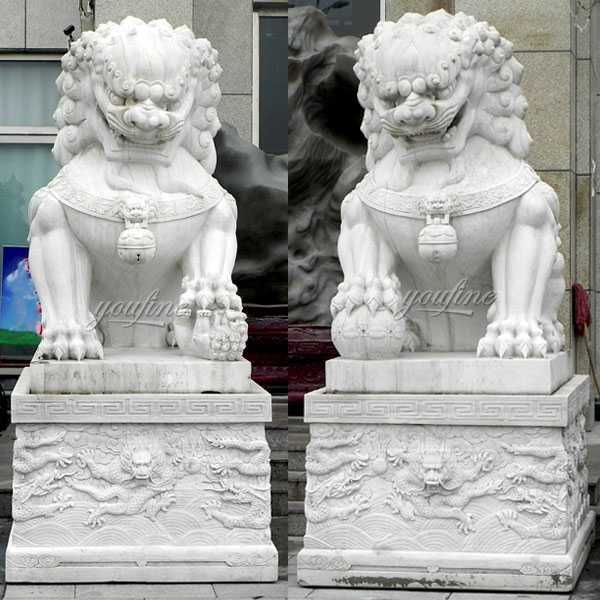 Chinese Guardian Lion are symbolic, protective statues, and they are designed in pairs — one is female, the other is male. The female represents yin, and symbolically protects the people dwelling inside the home, while the male statue, representing yang, protects the structure itself. 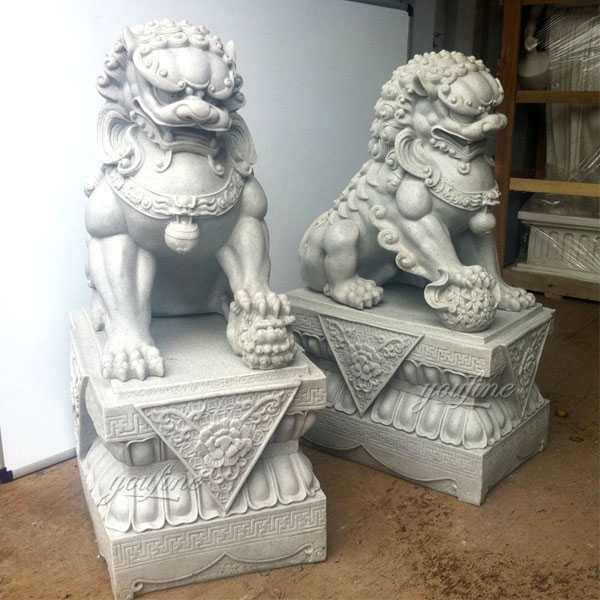 The Chinese Guardian Lion or Foo Dogs are the eastern protection lion figures.They protect from evil and bring wealth. If you bought the Foo Lion, you should buy two soon. Like soldiers are used on both sides of protected doors and items. Foo dogs also work well as decorative bookends, and look stunning placed at either end of a buffet in a dining room, as shown here. 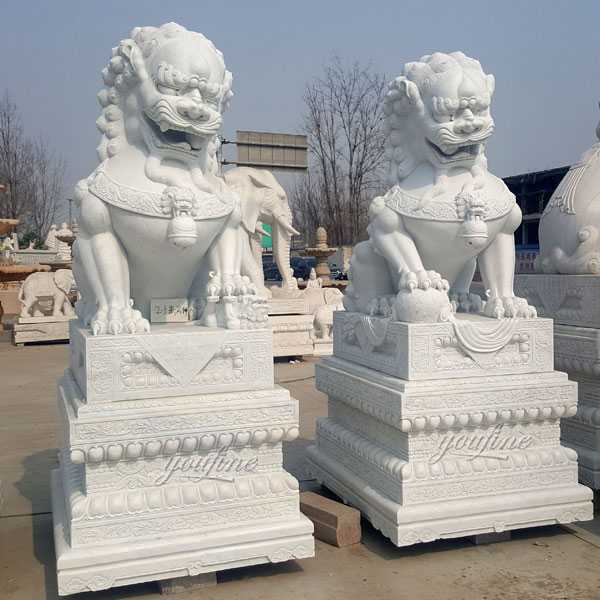 So if you want to know more knowledge or have requirement about Chinese Guardian Lion ,please contact with us,which having focusing on marble carving over 30 years,is your best choice !